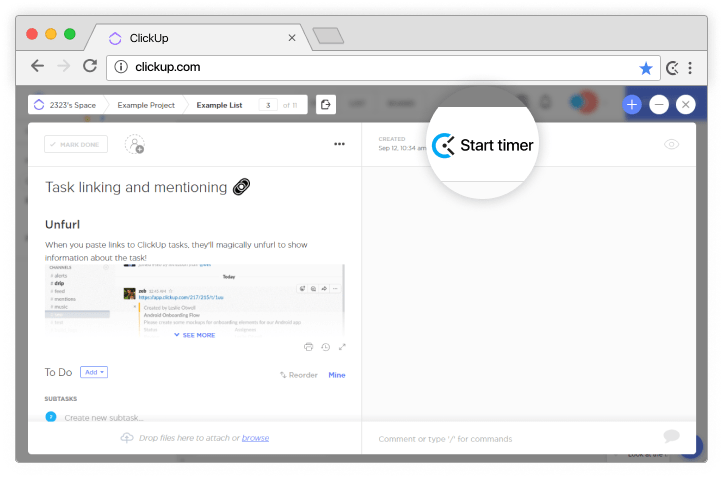 Track time in ClickUp tasks with a single click, and then run time reports directly from Clockify for free! Start the timer inside of your ClickUp task. Note that the Clockify timer will appear automatically. Clockify will also automatically detect the name of your ClickUp task and start the timer. Be sure to check out our other time tracking options as well!